PepsiCo is branching out into new territory with the $3.2bn purchase of SodaStream, the Israeli maker of home fizzy drink dispensers, just weeks after the US consumer group announced that its chief executive, Indra Nooyi, would step down this year. PepsiCo claimed its strong distribution capabilities, global reach, R&D, design and marketing expertise, combined with SodaStream’s differentiated and unique product range would position SodaStream for further expansion and breakthrough innovation. 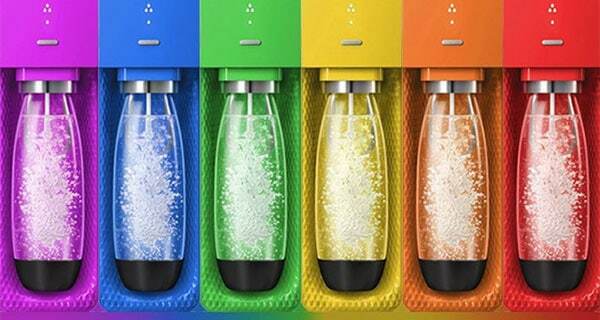 The acquisition sees PepsiCo branch out in what SodaStream has called a “razor/razor blade” business model, posited on selling both hardware and higher-margin consumables, such as CO2 refills and flavours. SodaStream estimates that 12.5-million households around the world use its sparking water makers, which are sold in 45 countries. The carbonating machine was invented in the UK in 1903 and manufactured in Peterborough at the height of its popularity in the 70s and 80s, when its ads featured the tagline “Get busy with the fizzy”. After passing through the hands of Cadbury-Schweppes it was acquired by its Israeli distributor, Soda-Club, in 1998. It floated on Nasdaq in 2010 but remains headquartered in Israel with global marketing in the hands of Matti Yahav under chief executive, Daniel Birnbaum. “We are honoured to be chosen as PepsiCo’s beachhead for at-home preparation to empower consumers around the world with additional choices,” Birnbaum said. SodaStream increased its advertising and promotion spend by 18% to $76.7m in 2017 as it sought growth in the US and focused on engaging consumers with the environmental friendliness, convenience and health advantages of its product through offbeat campaigns featuring characters from the hit TV show Game of Thrones. Its deliberate switch of marketing focus to the environment and wellness has paid off for its shareholders, with PepsiCo paying a premium of 32% over its share price. PepsiCo’s outgoing chairman and chief executive, Indra Nooyi, said SodaStream’s focus was “well-aligned with Performance with Purpose, our philosophy of making more nutritious products while limiting our environmental footprint”. 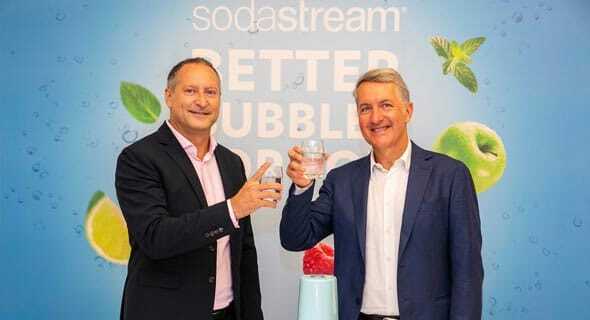 Nooyi’s recently-anointed successor, Ramon Laguarta, added that SodaStream would “catalyse our ability to offer personalised in-home beverage solutions around the world” and showed that PepsiCo “is finding new ways to reach consumers beyond the bottle”. Newly elected CEO of PepsiCo, Ramon Laguarta (right), and SodaStream’s Daniel Birnbaum. SodaStream has grown strongly in parts of Europe and Asia in recent years but lagged behind in the US, where its fizzy drink dispensers have less than 2 per cent market penetration. Global F&B companies have been carrying out a series of deals in recent years as they try to reposition their portfolios as health conscious consumers opt for fewer sugary drinks. Pepsi’s deal comes days after its main rival Coca-Cola agreed to buy a minority stake in BodyArmor, a sports drink maker backed by US basketball star Kobe Bryant. Coca-Cola’s move comes as it has struggled over the years to loosen the hold of Pepsi’s sports drink business Gatorade. Coca-Cola and Pepsi also face new competition from consumer group JAB Holding, a Luxembourg-based investment vehicle backed by the Reimann family. As part of an international buying spree JAB bought the Keurig Green Mountain coffee business, best known for its single-serve brewing machines, in December 2015 for $13.9bn. A major shareholder in Keurig at the time, Coca-Cola agreed to sell its entire stake. JAB subsequently discontinued Keurig’s cold brewing system that allowed consumers to make their own sodas from pods including those produced by Coca-Cola. In January 2018, JAB struck a $18.7bn deal to acquire Dr Pepper Snapple and combined it with Keurig to create a beverage group with almost $11bn in annual revenue.